Long before mp3 players and wireless headphones, an amazing little electronic device—the transistor radio—made it possible to listen to music on the go! 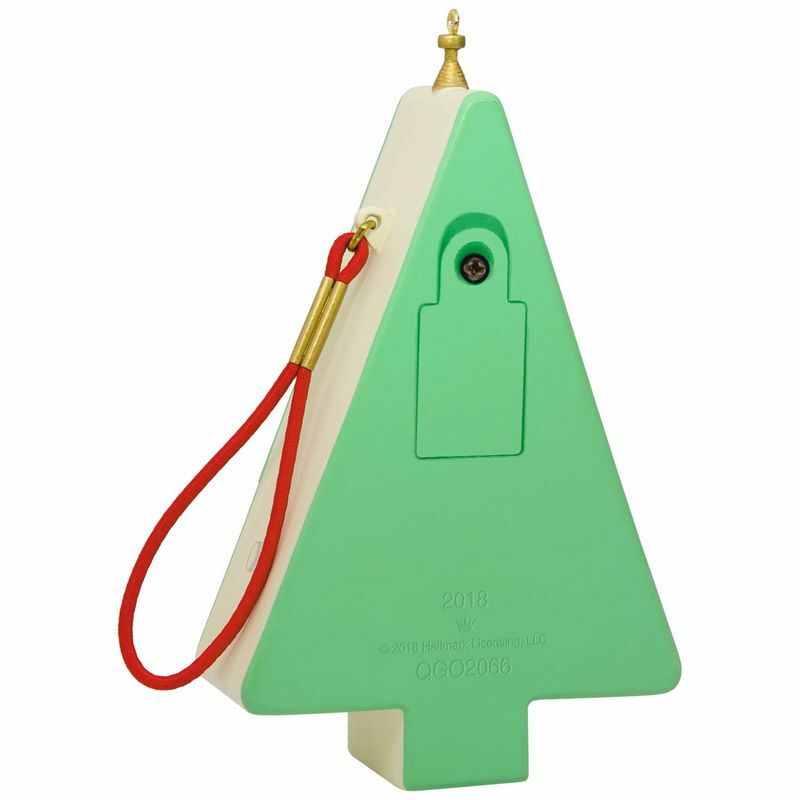 Relive the thrill of that pocket-sized feat of technology with this charming Christmas tree ornament that's shaped like a tree in a retro mint green color. 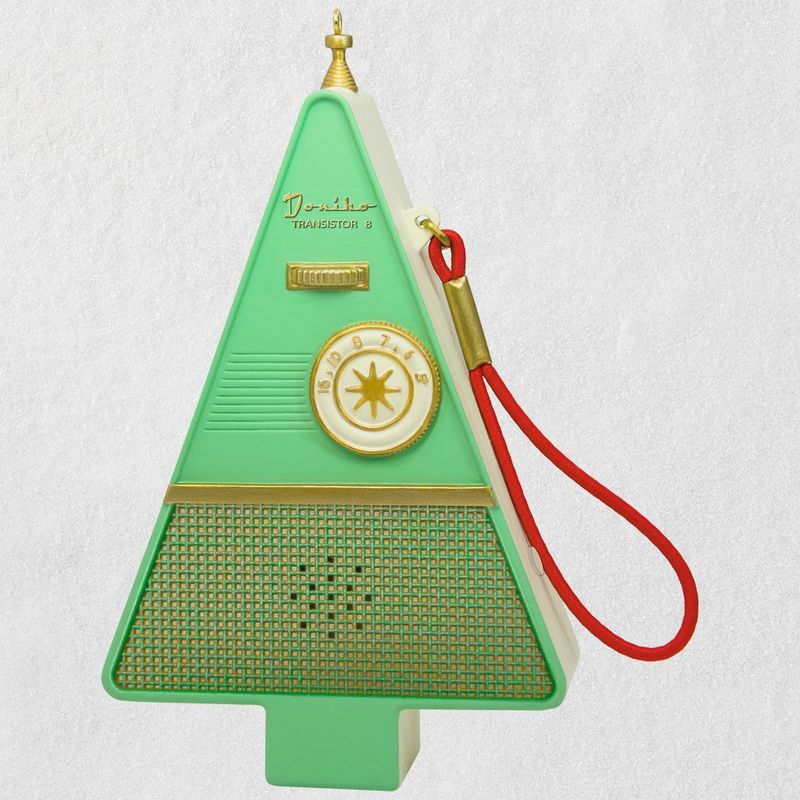 Magic Sound ornament. 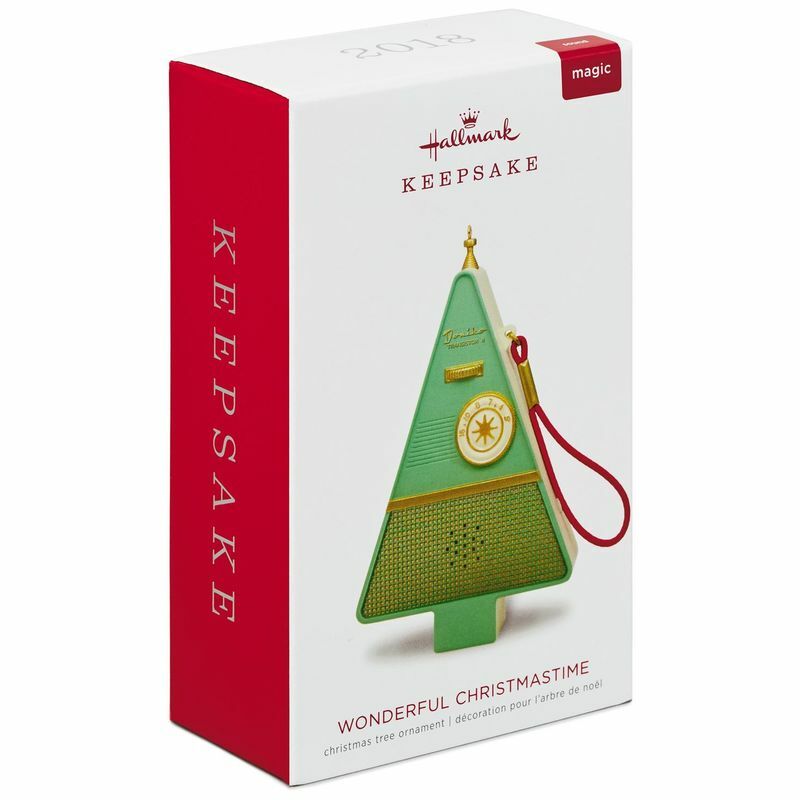 Press the button on the ornament to hear music from "Wonderful Christmastime" performed by Paul McCartney. Measures 2.54" W x 3.88" H x 0.72" D.
2007 Santas Jukebox - Plays 12 songs!